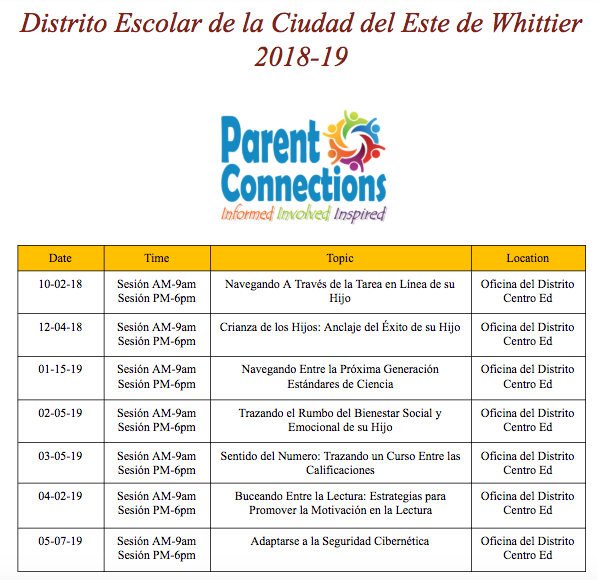 East Whittier City School District is proud of the multiple parent engagement opportunities it provides to its families. 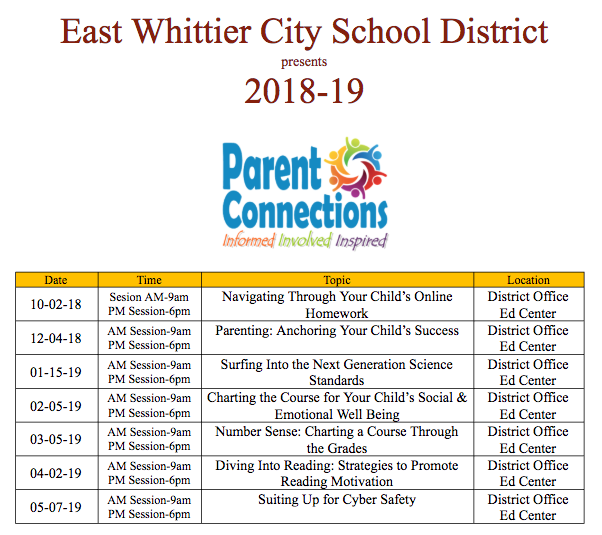 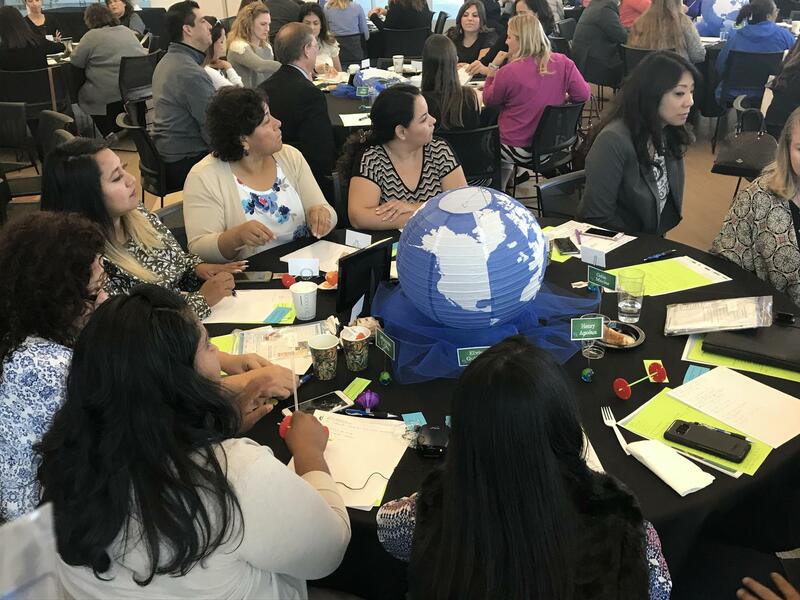 Our Parent Connection series of workshops provide professional learning to our families on relevant topics such as internet safety, bullying, parenting, online homework, and social-emotional well being. 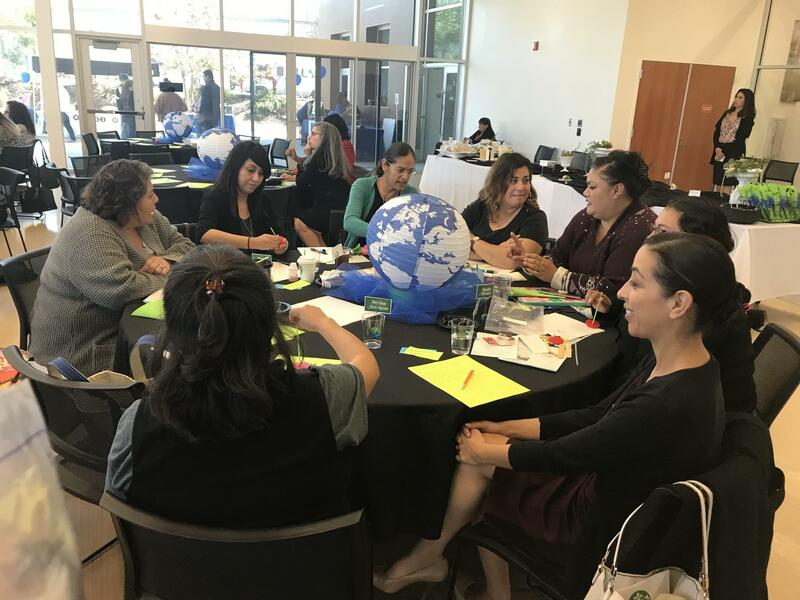 The Annual Parent Symposium also provides our parent leaders and community members with opportunities to hear from local dignitaries and consulted keynote speakers on important and engaging topics. 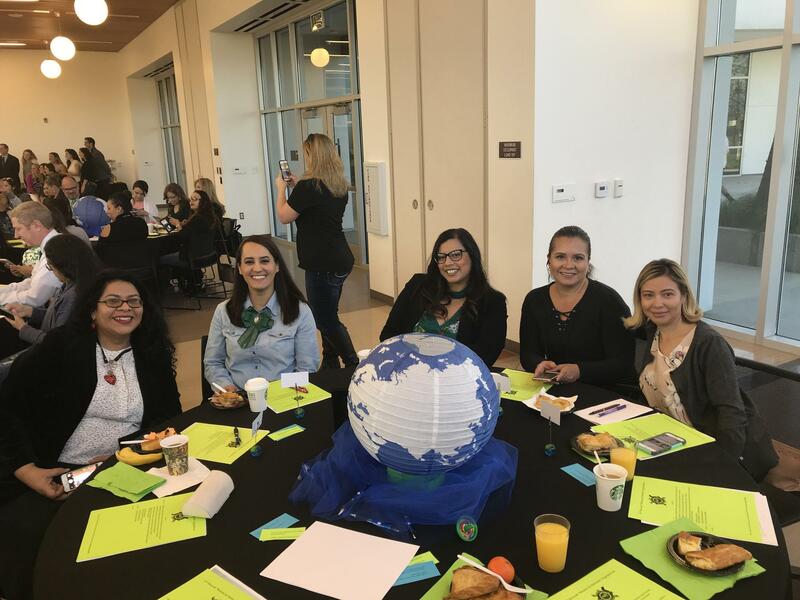 All schools are well represented and a resource fair is offered following the Symposium to answer any questions from our attending families.